These earrings are top tier! 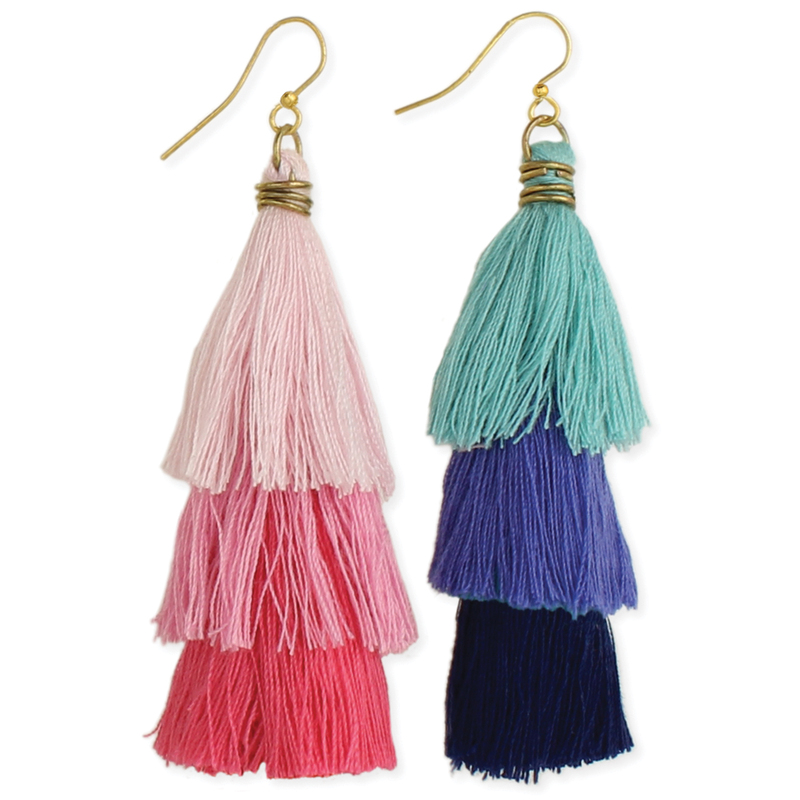 A playful take on the popular fringe earrings, this earring features 3 tiers in dark to light tonal colors. The 3 tassels are bound together with gold wire and dangle from a gold plate French earwire. You'll be at the top of your fashion game with these fun and colorful fringe earrings! Measurements (approx.) 1" x 3 1/2"